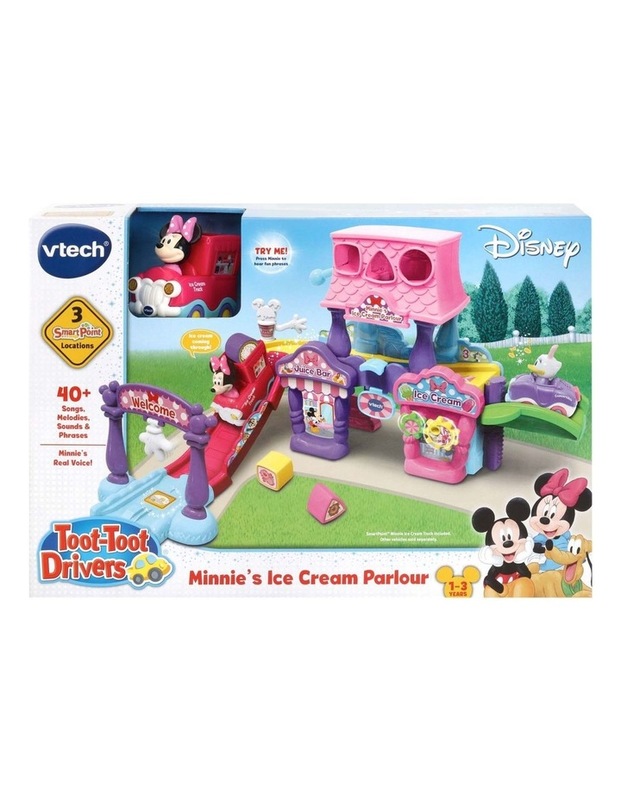 Little sweeties will have a delightful time creating, exploring and playing with the VTech Toot-Toot Drivers Minnie Ice Cream Parlour. Take a ride with Minnie Mouse and her Ice Cream Truck down the tracks and through the gate, activating three SmartPoint locations as you go. 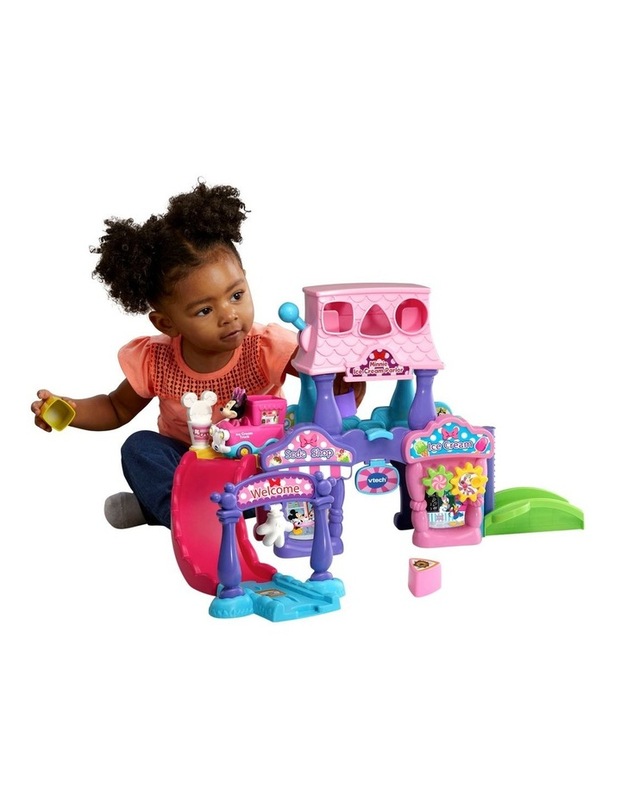 Drop ice cream shapes into the shape sorter and into Minnie Mouses Ice Cream Truck, raise the elevator, spin the gears and move the gate to promote motor skills. 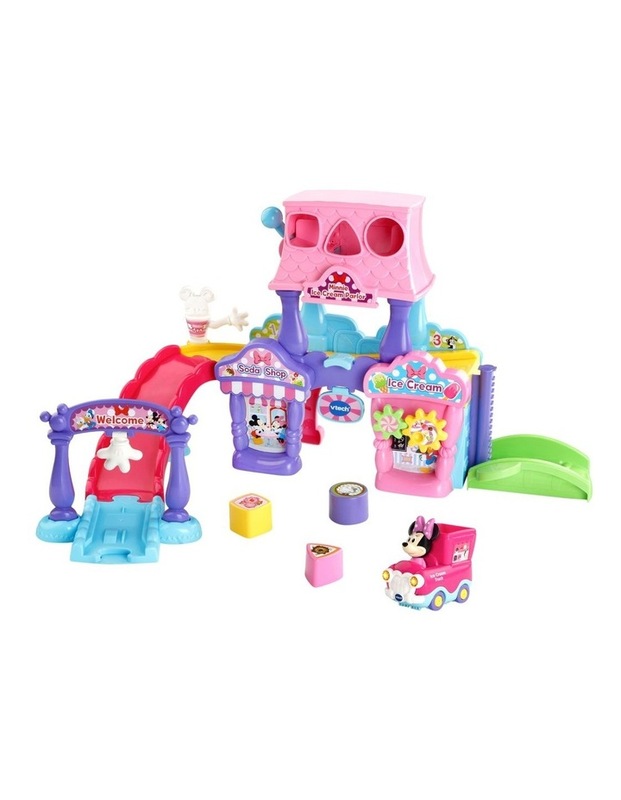 Listen to Minnie Mouses voice say fun phrases and encourage pretend play. So brush off that sweet tooth and bite into this adventure!